DescriptionFill these favor boxes with gifts for your guests to find! 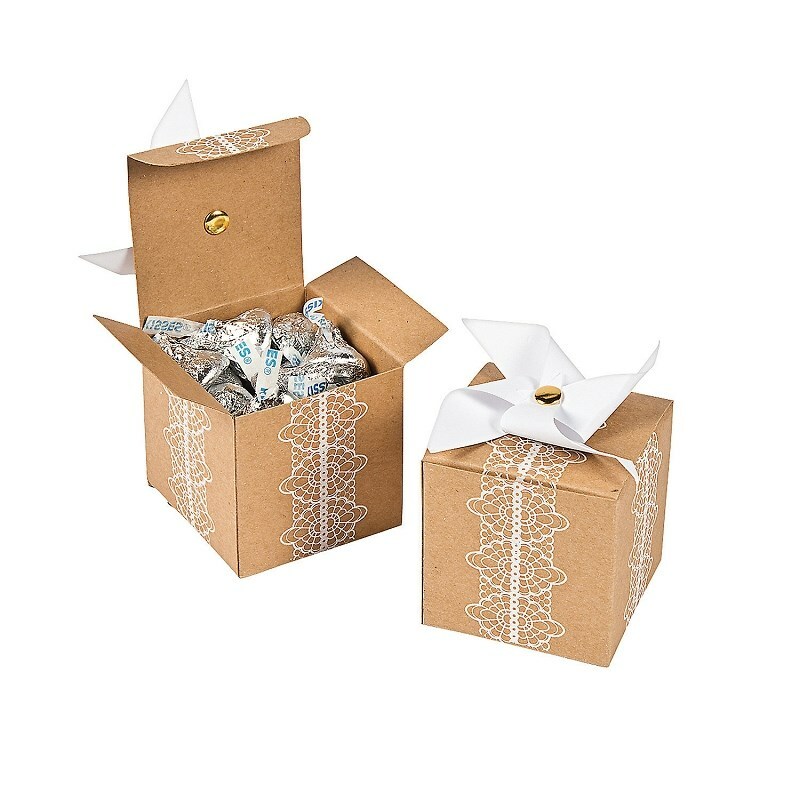 Perfect for weddings, engagement parties or any celebration, these gift boxes have an attached pinwheel that will have smiles swirling for hours! Cardboard. 2 1/4" x 2 1/4" x 21/4" box with a 3 1/2" pinwheel. Fill these favor boxes with gifts for your guests to find! Perfect for weddings, engagement parties or any celebration, these gift boxes have an attached pinwheel that will have smiles swirling for hours! Cardboard. 2 1/4" x 2 1/4" x 21/4" box with a 3 1/2" pinwheel.